Banks are the most sought after financial service providers everywhere in the world. In a developing country like India where literacy is low and financial literacy still lower, banks are playing a crucial role in mobilizing the savings of common public and offering credit to needy people. After launch of Jan-Dhan Yojana and many other schemes to inculcate banking habits amongst people , particularly those in far off areas and at rural locations ; very few people in the country are now left without access to banking services. Most of our population has come to the fold of banking. Bank accounts are now widely used for payment of salary or wages, subsidies, scholar-ships and incentives etc. Since banks deal with public money it is considered necessary to regulate their functioning to ensure that interests of all stakeholders are protected. The respon-sibility of such regulation in most of the countries is entrusted to a body known as Central Bank. For our country Reserve Bank of India (RBI) is the Central Bank and the banking regulator. In India RBI was set up on April 1, 1935. The Bank was established primarily to regulate the issue of bank notes, keep reserves for ensuring monetary stability and to operate the credit and currency system of the country. 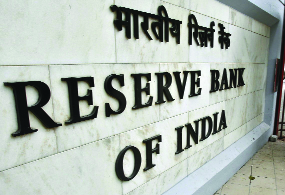 Over a period of time the role of RBI has expanded to a much larger extent. As a regulator Central Bank of the country, it provides necessary support and guidance to banks, audits banking operations and ensures that our banks follow the best practices and customers get a fair deal. RBI has been assigned a comprehensive role to play in our nation's economy. It has also to ensure that country's economic interests are well protected when it comes to dealings with the outside world. As a supervisory authority of financial system in the country, RBI prescribes necessary regulations for sound functioning of banks and various other financial institutions. These regulations may be related to fair practices, risk management, corporate governance, disclosures etc. Other roles as listed on the Bank's website include developing efficient payment and settlement system, work as monetary authority which includes issuing of currency, maintaining and regulating foreign exchange inflow/ outflow, work as bankers to the government and banks. It also keeps a watch on the economic trends and makes relevant forecasts with regard to micro and macro-economic indicators. RBI has its headquarters at Mumbai. It has 27 regional offices which are mostly situated at state capitals. It also has 4 sub offices. The central bank has established knowledge institutions like Centre for Advanced Financial Research and Learning at Mumbai and College of Agricultural Banking at Pune. It has promoted National Institute of Bank Management, Indira Gandhi Institute for Development Research and Institute for Development and Research in Banking Technology respectively at Pune, Mumbai and Hyderabad. Bank's fully owned subsidiaries include Deposit Insurance and Credit Guarantee Corporation of India, Bhartiya Reserve Bank Note Mudran Private Limited and National Housing Bank. Various acts are administered by the Reserve Bank. Few of these are Banking Regulation Act, 1949; Reserve Bank of India Act, 1934; Government Securities Act, 2006; Foreign Exchange Management Act, 1999; Credit Information Companies (Regulation) Act, 2005; Payment and Settlement Systems Act, 2007 among others. RBI has a number of departments which are assigned specific jobs. Prominent among these are departments of - Banking Regulation, Banking Super-vision, Monetary Policy, Risk Management, Financial Inclusion and Development, Financial Market Operations, Foreign Exchange, Internal Debt Management, Payment and Settlement Systems, Statistics and Information Management, Consumer Education and Protection, Currency Management, Economic and Policy Research, Government and Bank Accounts, etc. Banking Ombudsman under RBI looks into the matters of deficiency in service by banks. As a Central Bank, RBI works in close collaboration with Ministry of Finance and bodies like National Payment Corporation of India, NITI Ayog and few others. RBI is led by a Governor and a team of Deputy Governors who are appointed by Government of India. Direct recruitment in RBI is made in the cadres of officers, assistants (clerical position) and office attendants (class IV position). Vacancies are advertised as per needs of the Bank and the recruitment process is conducted by the bank itself. It is worth noting that the exercise conducted by the Institute of Banking Perso-nnel Selection (IBPS) doesn't include vacancies in RBI. Office Attendant: For this post candidates should have passed 10th standard (matriculation) and should be in the age group of 18 to 25 years. Eligible candidates have to appear in an online test which comprises of General English, General awareness, Numerical ability and reasoning. Based on the candidates' performance and number of vacancies a merit list is prepared. Candidates in this list have to appear for a language proficiency test. The vacancies for office attendants position are categorised state wise and the proficiency test will be for the language of concerned state. Thus if a candidate applies for the vacancies in Orissa, she will appear for test of Oriya language. Assistant: Candidates in the age group of 20 to 28 years are considered eligible to apply for the post of Assistant. Educational qualification is prescribed as graduation with minimum 50% marks. Knowledge of word processing on computer is another requirement. The selection process is in three steps. The first one is an online Preliminary examin-ation which has three segments viz. English language, Numerical ability and Reasoning ability. Those who qualify in preliminary examination are required to appear in the main examination comprising of test in Reasoning, English Language, Numerical Ability, General Awareness and Computer Knowledge. This is followed by language proficiency test as positions of Assistants are also listed statewise. In compliance with latest guidelines no interviews are conducted for the posts of office attendants and assistants. Officers: Most of the vacancies in officers cadre in RBI are for the posts of Grade B officers who are generally designated as Managers. There are both generalist and specialist opportunities available which depend on qualification of the applicant. For generalist positions in grade B, the applicant should be a graduate with at least 60% marks and should also have passed 10th & 10+2 examination with minimum 60% marks. The prescribed age group is 21 to 30 years. For specialist positions Master's degree in Econo-mics/ Econometrics/ Qualit-ative Economics/ Mathe-matical Economics/ Inte-grated Economics/ Finance/ Statistics/ Mathematical Statistics with a minimum of 55% marks. M.Phil./ Ph.D. holders in these subjects are preferred and are eligible for relaxation in age to the extent of 2/4 years. These specialist positions are for the Department of Economics and Policy Research and the Department of Statistics and Information Management. For generalist position the applicant has to first appear for Phase I of an online examination consisting of questions related to General Awareness, English Language, Quantitative Aptitude and Reasoning. Those who qualify are required to appear in Phase II which has three papers - Economic and Social Issues, Finance and Management and English (Writing Skills). Except the English paper the other 2 papers are of objective type questions. Applicants for specialist positions have to appear in three papers. Paper I will be of objective type questions related to Economics/ Statistics while paper II will have subjective questions from Economics/ Statistics. The third paper of English will have questions seeking descriptive answers. The standard of papers on Economics/Statistics would be that of Master's Degree examination of any Central University in the country. The paper on English is meant to test skills in Essay writing, Précis writing, Compre-hension and Business/ Office Correspondence. Shortlisted candidates have to appear in interview which is the last part of selection process. Other Positions: At times RBI comes out with requirements of manpower with other specializations. Few examples of these positions are Security Officer, Rajbhasha Officer, Medical Officer, Legal officers/ consultants. In past RBI has made direct recruitment of Ph.D. holders as grade B officers. When compared with Public Sector Banks, RBI has lesser number of vacancies. There is tough competition so one has to work harder to make to the list of successful candidates. Once you reach there you are among the privileged few who has the opportunity to work with the Central Bank of the country and regulating body for banks. RBI makes substantial investment in training and development of its emplo-yees and provides them good growth opportunities. Officers on the basis of their potential and performance get promoted as Assistant General Manager, Deputy General Manager and General Manager. Some of them reach the positions of Executive Director and Deputy Governor as well. Candidates with academic orientation can get a chance to work as Faculty at Bank's training establishments. There have been instances of RBI officers moving to international/ global organiz-ations like World Bank, International Monetary Fund, Asian Development Bank, International Labour Organiz-ation and other reputed financial establishments. RBI offers a superior compensation package to its employees with various perquisites. (The author is a career counsellor based in Mumbai) Email: v2j25@ yahoo.in. Views expressed are personal.